The Museum of Fine Arts, Houston (MFAH) presents more than 100 masterworks from one of the world’s most renowned collections of European painting. 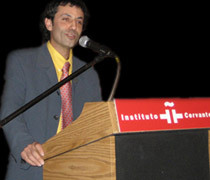 A lecture by Ignacio Cano Rivero, Head of the Department of Exhibitions at the Museo de Bellas Artes de Sevilla. A lecture by Jonathan Brown, professor of Fine Arts at the Institute of Fine Arts of New York University. 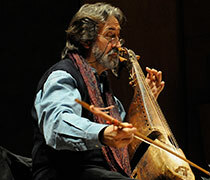 Hesperion XXI presents a virtual tour of 16th- and 17th-century Europe with music for five violas da gamba, lute, and percussion, directed by Jordi Savall. 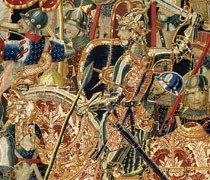 Exhibition of the four late-fifteenth-century Flemish tapestries known as The Pastrana Tapestries from the Collegiate Church of Pastrana in Guadalajara, Spain. 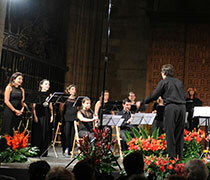 Musica Ficta performs sacred works by Cristóbal de Morales, Tomás Luis de Victoria, and Alonso Lobo, dedicated to Felipe II and Felipe III of Spain. 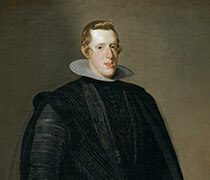 An exhibition focusing on Velázquez’s first decade at the Spanish Court, featuring the Prado’s Museum’s Philip IV (c. 1624-27). Academic symposiums featuring Velázquez scholars Tanya Tiffany, Javier Portús and Layra R. Bass. 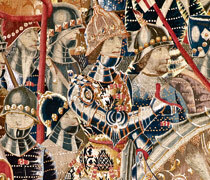 The Pastrana Tapestries —recipient of the 2011 European Union Prize for Cultural Heritage/Europa Nostra Awards— are among the finest surviving Gothic tapestries in the world. The exhibition seeks to increase public awareness of a long and important period in the history of Texas — the 17th, 18th and 19th centuries, when Spain and later Mexico were intertwined with the Lone Star State. 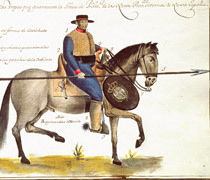 The exhibition and seminar seek to increase public awareness of a long and important period in the history of Texas — the 17th, 18th and 19th centuries, when Spain and later Mexico were intertwined with the Lone Star State. 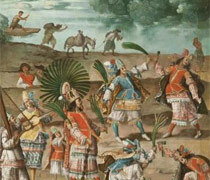 LACMA presents a groundbreaking exhibition of Spanish Colonial Art and its pre-columbian origins. To celebrate the 200th anniversary of Cortes of Cadiz (1812), this Congress focuses on the impact of this First Liberal Constitution in Spain, Puerto Rico and several American countries. Houston celebrates the 27th Annual Day of the Hispanic World (Día de la Hispanidad) at the Miller Outdoor Theater in Hermann Park. This conference brings together scholars to discuss recent developments in the movement for recognition of atrocities of the Spanish Civil war. Various activities for families, e.g. 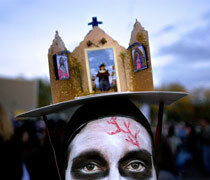 making altars, sugar skulls, Mexican paper cutting (papel picado) and more! 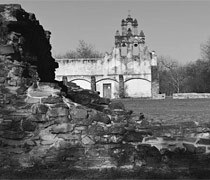 The exhibition and seminar seek to increase public awareness of a long important period in the history of Texas — the 17th, 18th and 19th centuries, when Spain and later Mexico were intertwined with the Lone Star State. 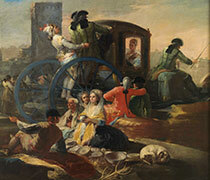 The Threads of Memory: Spain and the United States examines Spanish heritage in North America, including Spain’s role in America’s quest for independence. Lecture series by anthropologist Leoncio Carretero Collado from April 24th to May 6th. Lecture by Tomás Lozano on the earliest orchestral music in the U.S.
Tomás Lozano, a renowned Spanish folklorist, scholar, musician, and performer, will talk about the earliest orchestral music documented in the United States: that which was performed by largely Native American orchestras in the early 17th century at the New Mexican Franciscan Mission Schools along the Rio Grande. 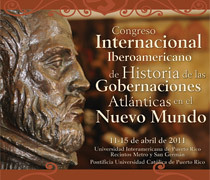 During the Iberoamerican Congress of the History of Atlantic Governances in the New World, specialists in the History of Law, Roman Law and American History from five countries will address the evolution of the Governance as an institution in Spain, Portugal and Latin America. A screening of the groundbreaking 1952 documentary Duende y Misterio del Flamenco will follow a conference by Estela Zatania on a half-century of Flamenco. 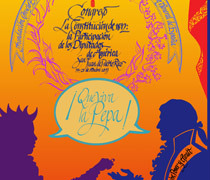 A perspective about Spain’s role in the formation of the U.S. through 138 rarely exhibited documents, maps and portraits. You are viewing our Heritage archive.